First stage of HAT and lead teacher application process opens today. The Department of Education has today opened the expression of intent to apply process for the 2019 highly accomplished teacher (HAT) and lead teacher (LT) certification processes. The HAT and LT positions, which have been negotiated as a result of the current certified agreement, represent the biggest change to the classroom teaching salary structure in decades. They offer a new standards-based salary horizon for classroom teachers with more than five years of recognised experience, with those certified as HATs able to earn $111,725 and LTs able to earn $121,975. During this semester, many QTU members have availed themselves of the HAT and LT information sessions being provided by the Union. The Department of Education also has extensive information available via OnePortal. The QTU is supporting the Queensland School Library Association’s (QSLA) endeavour to gather data from Queensland schools to determine the current status of school libraries and the teacher-librarian profession in Queensland. The QSLA survey should take less than 10 minutes to complete. At the end of the survey, you will be asked to volunteer the name of your school, to ensure that each school only responds to the survey once. While providing the name of your school is optional, this will assist QSLA to eliminate duplicate data. The survey will close on Tuesday 27 November. QTU members in 20 schools have made the decision to join a stop work action today to add yet more support to the community campaign involving more than 350 organisations, initiated by World Vision, to pressure the Morrison government to get the #KidsOffNauru. Representatives of QTU members in each self-selected school will stop work and “walk off” the school grounds at 2.30pm. A rally involving QTU members, other unions and community groups will be held in Reddacliff Place, 266 George Street Brisbane, commencing at 4.00pm today (see the QTU website for more details). Today (20 November) is Universal Children’s Day, the deadline set months ago for the removal of all refugee children and their families from Nauru. While it is unclear how many children remain on Nauru, it appears that around 25 are still being held in detention. Earlier this week, the Morrison government doubled-down on the Nauru issue and revealed that its pledge to bring the refugee children to safety by Christmas was a ruse, and that children previously evacuated for emergency medical treatment would be sent back to Nauru. Thanks to the members in those 20 schools for taking action. Thanks also to the school leaders in those schools who have helped to make this protest action possible. Many other QTU members around the state have also participated in the #BlueForNauru activities and will attend the rally this afternoon. The community campaign to have the refugee children and their families held on Nauru brought to safety will continue with QTU support. 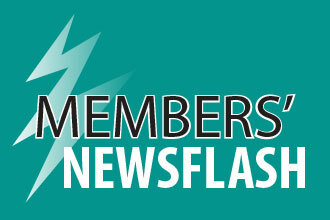 The QTU recently reached 46,000 members for the first time in its history. QTU membership provides industrial, professional and legal support and advocacy for teachers and school leaders across the state. Welcome to all of the new members who have joined the QTU in 2018 and thank you to our Workplace Representatives who discuss membership every day with potential members in their workplaces. Our term four membership offer is still in place, so if you know of a colleague who has not yet taken up the offer of QTU membership, please encourage them to visit the special offer link from the website. As we head into EB9 negotiations, our demonstration of solidarity as a Union and as a profession can only serve to make us stronger and #QTUProud.